I don’t like the idea of being confined either. That’s an interesting idea JJ. 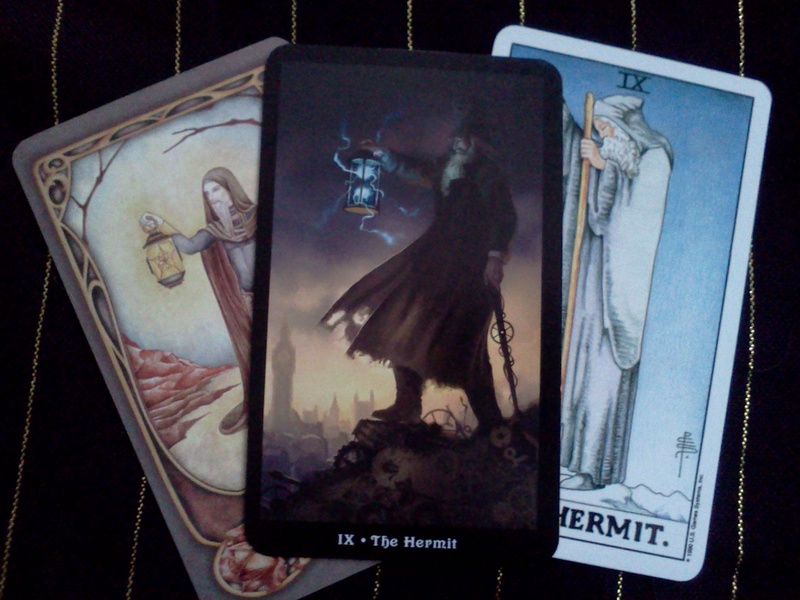 I do most of my readings via e-mail, so I can’t show my clients the deck to choose one, but when/if I begin doing in person readings I think I will try that. I have a couple of decks in my collection. 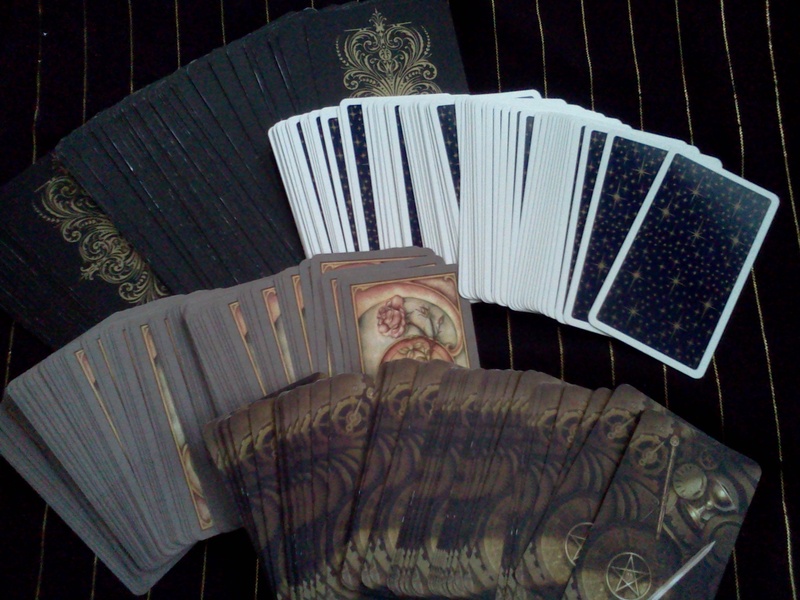 I love to look at them and I’m always looking for new decks to buy but I seldom read with them. Currently I got myself the Radiant Rider Waite because I love the vivid colours. For years I didn’t want to use the Waite deck because I found the images dull and flat. But now with the Radiant deck I want to learn the Tarot from the very beginning. I really like your idea to use specific decks for a certain theme or kind of questions. I am currently using the Universal Rider-Waite-Smith the most, reason being I just finished reading Rachel Pollack’s 78 Degrees of wisdom, which uses the Waite deck. Also I like using it because of its history, though it certainly isn’t the oldest tarot deck in existence, I feel like I’m tapping into the wisdom and tradition of all the readers who have used that style deck in the past. I used to collect decks – I didn’t have *loads* but a good fifteen or so. Like you I had trouble getting around to using them all…I found myself repeatedly drawn back to the same few – whether for myself or for work with querents. Last year I moved onto a tiny boat – that forced me to give up most of my collection! I kept my very favourite five (perhaps still too many!) and the rest were passed on to loving homes. And you know what? I haven’t missed them one bit. 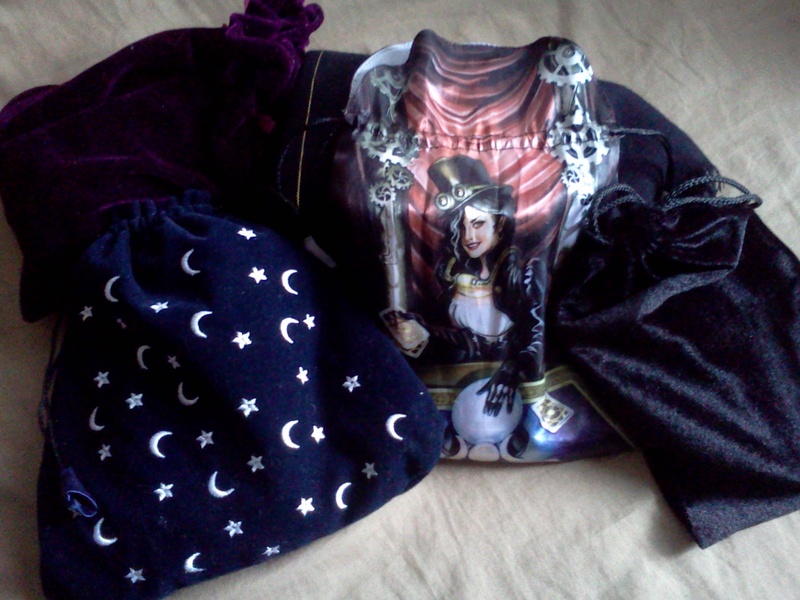 I actually feel more focused now – like these are my special decks – I know them inside out. Always fighting the urge to keep buying though…ack! Haha! Well, don’t beat yourself up about it, for sure. I had the commemorative deck – I truly LOVE the colours, but it wasn’t very good quality, the print wasn’t calibrated properly so colours bled outside lines and it was all a but flimsy. I gave it away to a friend who was learning, but kept the books. It is worth getting the set purely for the Pamela CS book as as far as I can find out it’s the only book ever written about her! It’s pretty slim and again not very nice quality but at least it is *something* you can read about this fascinating woman.